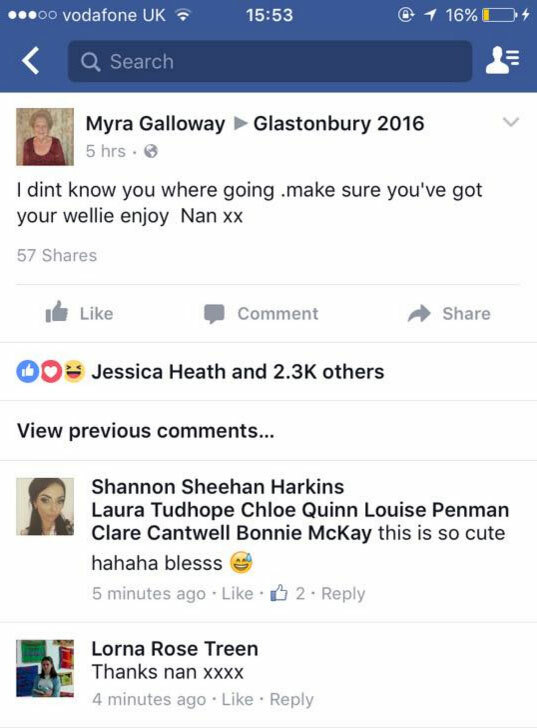 Remember when Grandma Galloway ended up giving festival advice to way more people than she'd bargained for? When it comes to older generations mastering social media, there's bound to be a few hiccups along the way. Let's recall the time that this nan tried to offer her grandchild some last minute Glastonbury advice on Facebook, and ended up reaching way more festival-goers than she bargained for. To be honest, we're pretty impressed she has a Facebook account in the first place... and she was right about the wellies.